SIMPLY THE BEST, Rabac, 19. studenoga 2014. * za kreativan i inovativan muzejsko-galerijski postav s posebnom multimedijalnom prezentacijom Domovinskog rata. * For a creative and innovative museum/gallery display with a special multimedia presentation of the Homeland War. 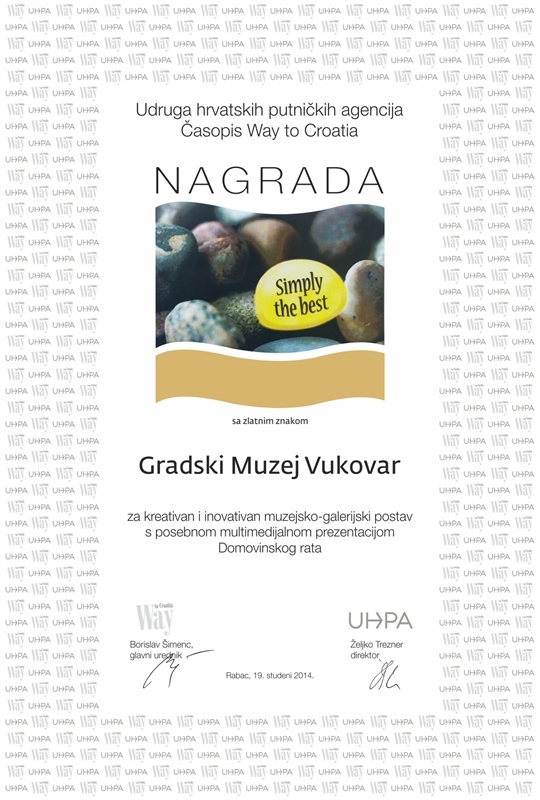 The award was delivered by Borislav Šimenc, editor-in-chief and Željko Trezner, director to Rujana Bušić, director of the Tourist Board of the Vukovar-Srijem County and Jasna Babić, director of the Tourist Board of Vukovar.